4-H SPIN Clubs and how one leader built 4 winning SPIN club teams! Have you wanted to become a 4-H volunteer, but worry about the time commitment? Not sure if your child will like to do one project for an entire year? Then the 4-H SPIN (SPecial INterest) clubs may be perfect for you! A 4-H SPIN Club is a where five or more youth learn about a specific topic, known as a 4-H Project. SPIN stands for SPecial INterest. Topics can include almost anything such as gardening, rocketry, cooking, photography, animals, and much more. Volunteers, who have a passion and want to share their knowledge and skills with youth, lead these project clubs . SPIN Clubs are usually only 6-12 weeks long, and the schedule can be tailored to fit your availability. One club leader, Laurie, took the idea of doing short-term clubs, and ran with it. She had been doing a regular, community 4-H club for a few years, but wanted to increase the participation in the Marine and Forest Ecology teams, as well as the brand new Insectathon event. In addition to this, she and her husband, David, stepped up to lead the fledgling Pinellas 4-H archery team. Instead of running 4 additional year-round clubs, she chose to make them all short-term SPIN clubs, that all met at different times of the year, leading up to the events they would be studying for. 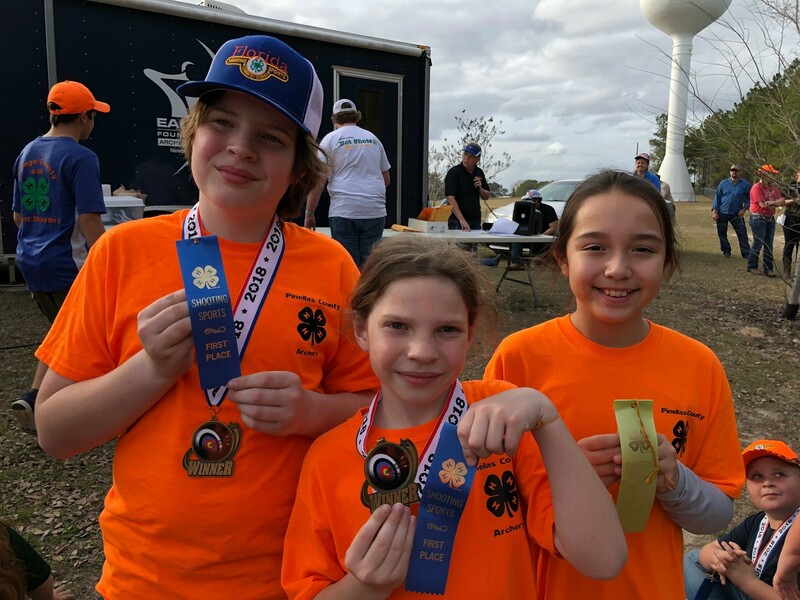 The Marine Ecology SPIN Club team was first in the rotation for the 2017-2018 4-H year. 25 youth, 4 volunteers, and all parents worked very hard preparing for the Marine Ecology Contest. Unfortunately, due to the budget cuts the state competition was canceled. This did not discourage our Pinellas 4-H’ers though! They hosted their own county competition in October and made sure their skills remained sharp for the next year. They studied with the help of the SeaGrant Agent, Libby Carnahan, at Weedon Island and other locations in Pinellas County. At the county competition, you could really see how much time and effort the club put into studying and pulling the event together. These youth learned more than just the love for the sea and environment, they fostered a sense of belonging, teamwork, as well as critical thinking skills (and many more) during this club. 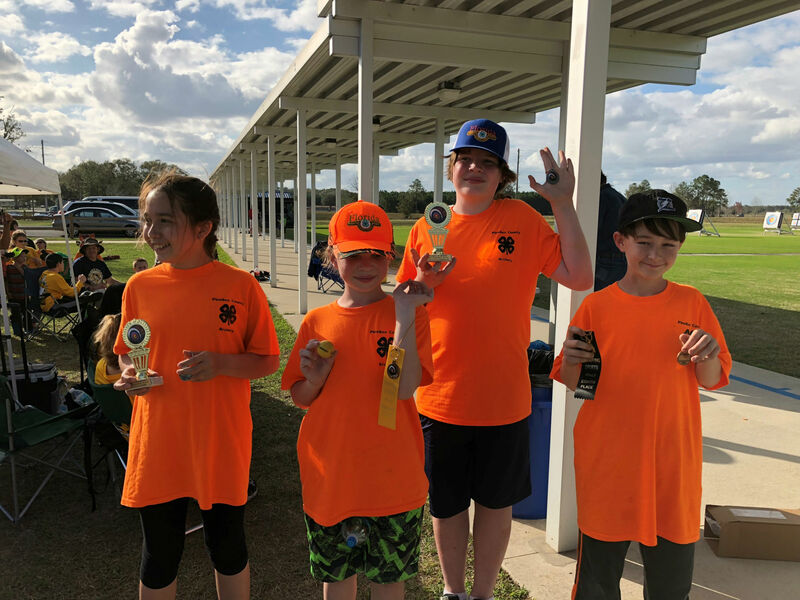 Next up was the Archery SPIN Club team and Pinellas 4-H archery is off to an amazing start! Youth practice with different bows and learn to fine tune their shooting skills. They have seen amazing improvement in everyone in such a short time! We are looking to grow this program to open to more youth in the 2018-2019 year. Youth in this club learn sportsmanship, teamwork, healthy living, responsibility, self-discipline, and much more. If you are interested in volunteering or joining please email the agent at abowers@pinellascounty.org. We need people to become certified coaches to help our lead coach. 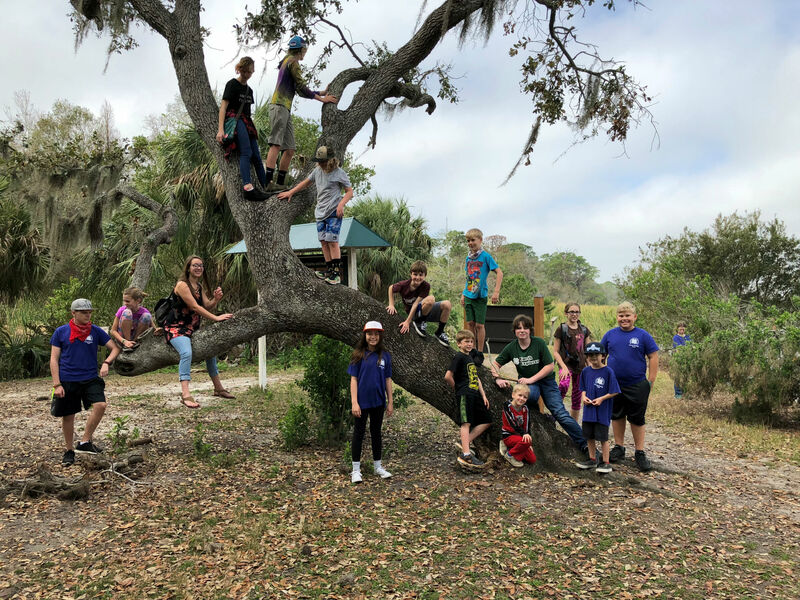 Currently, the Pinellas County 4-H Forest Ecology Team is working hard learning about trees, plants, forest health, ecosystems and so much more! 16 youth will voyage to University of Florida in mid April for the State Forest Ecology contest where they will show their skills against youth from all over the state. These SPIN clubs allowed the youth and leaders to focus on one project at a time, so no one was overwhelmed. This allowed the members to really hone their skills to be able to excel. Members also choose which topics they want to participate in, based on interest. We are all so proud of the accomplishments of the leaders, youth, and parents in Pinellas County 4-H! SPIN clubs have all the benefits of a community club, with the added benefit of being short-term and interest based. These clubs may work great for you! If you are interested in creating, joining, or volunteering with a SPIN club, please email me at abowers@pinellascounty.org . Pinellas County 4-H is always in need of dedicated, passionate volunteers to build the program!